Comedian, writer Mike Glazer (HBO, Food Network, Funny or Die, BuzzFeed, FOX, truTV, FUSE,. 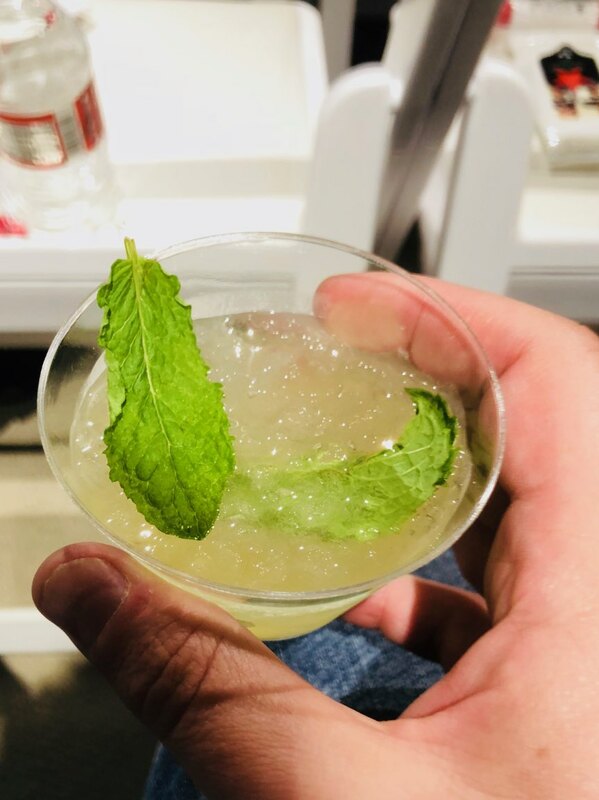 High Times, Fullscreen, The Chive, CBS, UCB Theatre, and Second City Chicago ) won third place on America’s Worst Cooks in 2014 but has since graduated a culinary program and been able to work on sets like The F Word with Gordon Ramsey and co-hosts a food podcast called Weed and Grub. He has been following his love of food with increased food related appearances, leading to many types of opportunities. 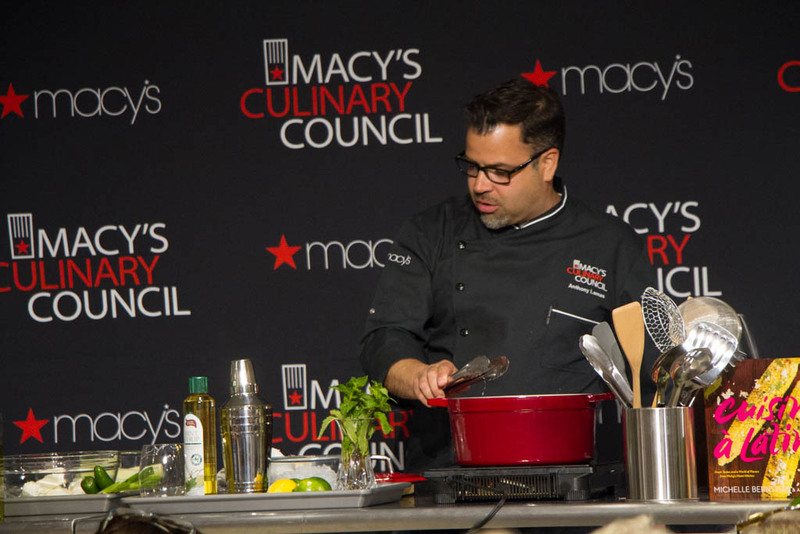 So, he seemed like a great person to bring along to Macy’s to interview Macy’s Culinary Council Chefs Anthony Lamas of Seviche fame and Crumb on Parchment’s Michelle Bernstein, also known for her many television appearances. Read More to listen to the audio interview and to nab these great recipes. Heat canola oil to 350 in deep stock pot or tabletop fryer. 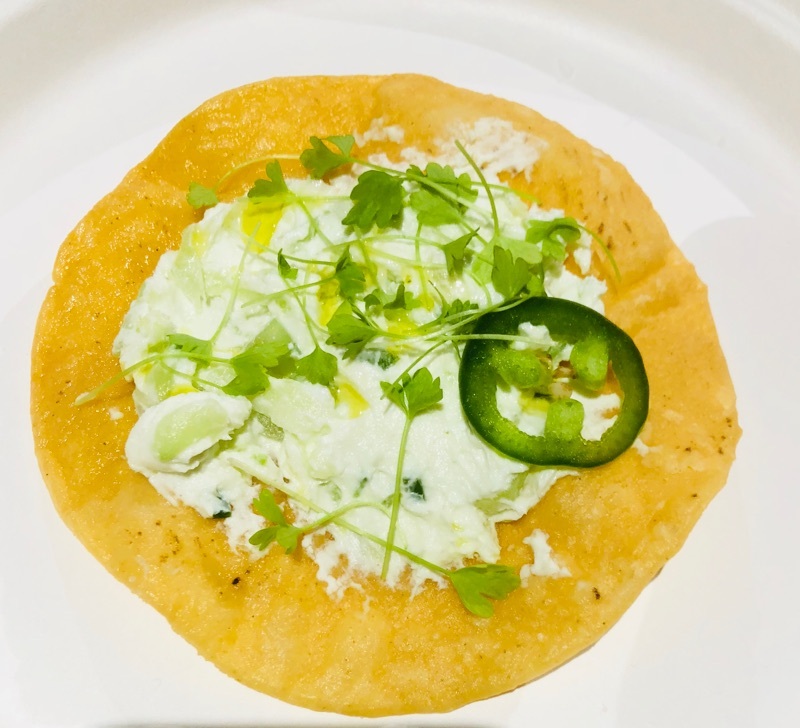 Fry whole corn tortillas for 1-2 minutes until crispy. Season with salt.